Places: The Sky – Find an Aerial Tour! Why not go above and beyond the usual landmark-grounded city view? Finding an aerial tour is easy and breathtaking! Ever since I was a child, I was interested in aviation. Eventually, I became a private pilot so I could enjoy the thrill of flying on-demand. It was only after this training that I learned you can take aerial tours in many parts of the world through a flight school. Aside from pilots who exclusively work as aerial tour guides, there are many flight instructors who are also building their flight time through aerial tours. How do I find these places? 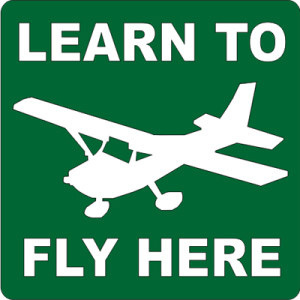 The easiest way is to simply search for a flight school in any geographic area. Call or message them asking if they do aerial tours. In the US, the majority of flight schools will also do aerial tours. Some will have pre-defined tour routes, while others will ask you where you want to fly. In my experience, tours through Viator are more expensive than finding local flight schools. * Search engines – Lists of flight schools aren’t well-organized online, this might be your best source outside of the US. In the US, it’s very easy to take aerial tours. The US has the largest number of airports in the world, making it almost certain that anywhere you visit will have an airport nearby. This depends on what you want to see, do , or spend. Airplane Pros: Lower cost per hour, generally more selection as to what type of airplane, all 2 and 4-seat airplanes have window seats. Airplane Cons: Can’t hover in place, some flight schools only have high-wing or low-wing planes. Helicopter Pros: Can hover – great for photography, vertical takeoff is always cool!, sometimes cheaper because of the reduced time needed for taxiing/takeoff/landing. Helicopter Cons: More difficult to find helicopter tours, more expensive (almost double the price), larger helicopters have middle seats that reduce your visibility. What about speed? For the lower price-points, airplanes and helicopters will have a similar average cruise speed. If you want something faster, the sky is the limit when it comes to price! In general, I prefer airplanes because of the lower cost, which equates to longer flight time. There are some places where helicopters would be much better… such as flying around New York City, or landing on a glacier. This is highly dependent on the location. In the US, it’s possible to find a 5 minute helicopter flight for USD $50. Expect to pay between USD $150-350 for most aerial tours in the US, Canada, or Australia. Outside of these countries, prices are generally higher, sometimes 2-4 times the price. How about more than just a tour? If you want to see what it’s like to fly an aircraft, ask for a combined introductory flight and aerial tour! Restrictions may exist depending on the country you’re in. If you become hooked, maybe you’ll want to do this forever and become Air Crew. Hello! I'm the owner of Jetsetter Jobs, and a travel enthusiast.